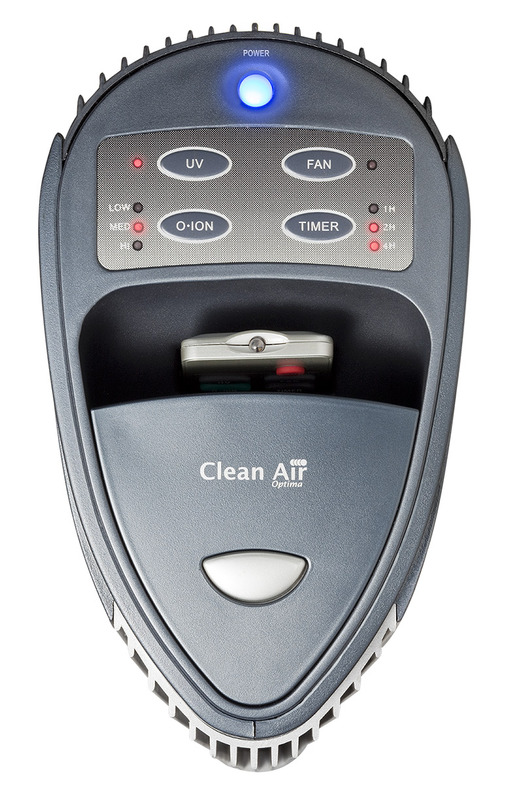 The unique air purifier CA-401 produces health air! The unique Clean Air Optima air treatment system cleans and improves the quality of the indoor air in rooms up to 60m²/150m³, where people spend most of their time. Plug & play system: just plug in and breathe through! The five-folded filter technology of the Clean Air Optima UV plasma ionizer air purifier CA-401 clean the indoor air from all unwanted substances and odor such as: dust / house dust mites /fine dust/ bird dust, bacteria, germs /viruses, pollen and other allergens, fungus, mold spoors, cigarette smoke, chemicals en volatile organic compounds and bad odors. 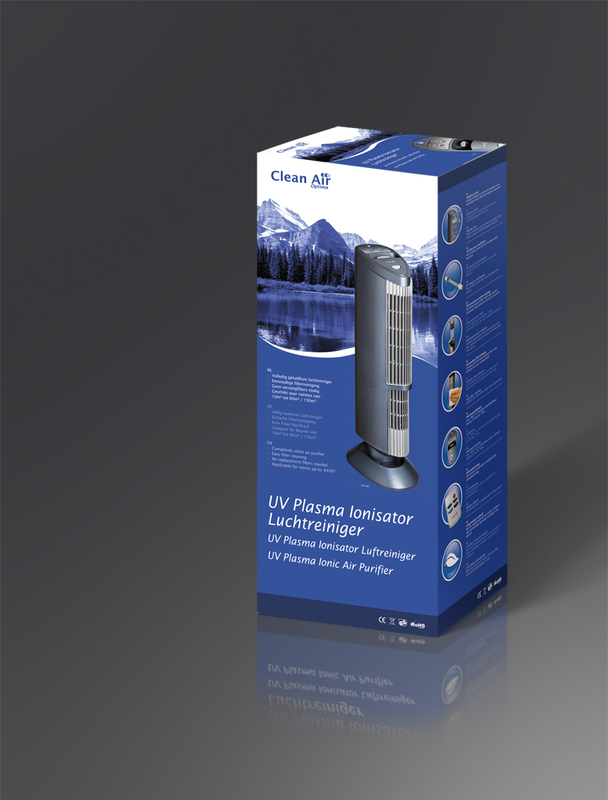 The slim tower design and the neutral color of the Clean Air Optima UV plasma ionizer air purifier CA-401 is suitable for every living and business environment, in the living room, bedroom, offices, waiting room, recreation room, rooms where people smoke, private practices, treatment rooms of doctors, dentists and physiotherapist, children’s day cars, schools, retirement homes, care facilities, sport and fitness centers, hotel, bars and restaurants, wellness rooms, companies, educational facilities, canteen, sales rooms and public buildings. Even at the hairdresser or in manicure studios the indoor air can be cleaned and refreshed effectively. It is also suitable for placement in sanctuaries with dogs, cat, bird etc. The Clean Air Optima UV plasma ionizer air purifier CA-401 has a variety of programs: completely silent air purification without ventilation, or very powerful air purification with switched on low-noise ventilation. 1. 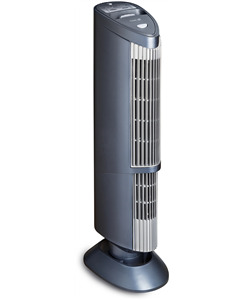 Absorption of the filthy indoor air with the low-noise and powerful ventilator. 2. The special electrostatic filter system within the UV plasma ionizer air purifier CA-401 can absorb the air also without the ventilator. An electromagnetic field is build up within the device which puts the air and the dust particles under electric tension, the dust particles are sucked to the dust collector lamella like a magnet. The air loses its tension and flows through. The combination of the electrostatic filter and the plasma technology binds compounds of a size of up to 0,01 micrometer. Those compounds are fine dust, pollen and all other kinds of particles. The electrostatic loaded dust collector catches floating particles and harmful substances like a magnet. The stainless steel lamella can be cleaned very easily with a damp cloth. 3. 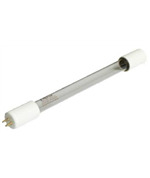 Ionization produces negative ions and cleans the indoor air. The positive feature of the ionization is that it enriches the air with active oxygen. 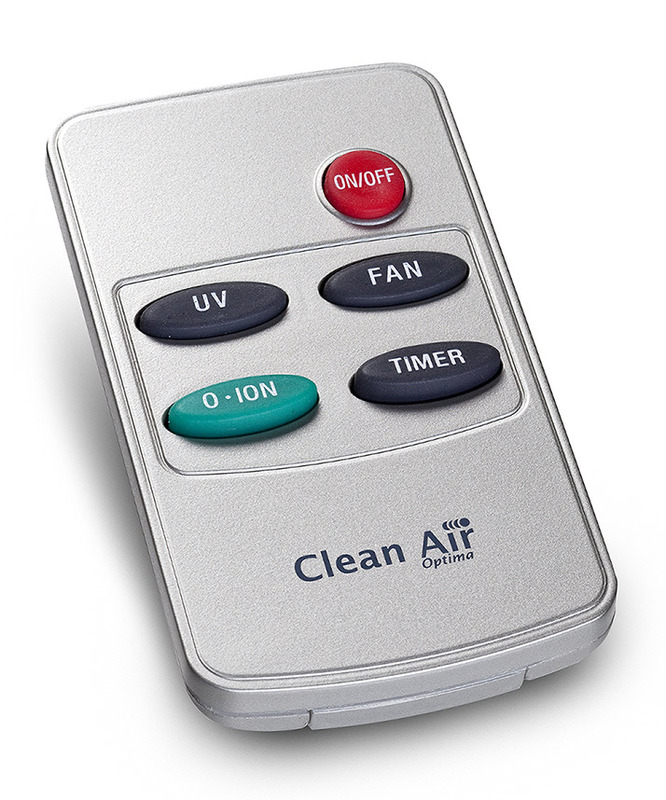 Negative ions attach to the dust particles, micro-organisms and other unwanted compounds and attach them to each other. This way the particles become heavier and sink to the ground or a filtered by the air purifier. 4. UV lamp. The ultra violet light of the lamp (UV-C radiation) with a wave length of 254nm eliminates unhealthy microorganism such as: germs, viruses, mold (mold spoors) and bacteria. Above all the micro-organisms in the device are eliminated as well. This way they cannot proliferate and spread through the air flow. Of all light the UV light has the highest frequency, the shortest wave length and therefore has the highest amount of energy which can penetrate the membrane of the micro-organism and destroy its DNA. The left-over particles a filtered by the electrostatic filter or the dust collection stainless steel lamella. With more than a thousand installed devices of the type, the integrated UV technology has proven that UV radiation is highly effective against pathogen viruses, bacteria and protozoans. With the help of UV light a microbiologic inactivity of 99,99% and higher can be reached. 5. Clean, healthy air flows through the rooms. 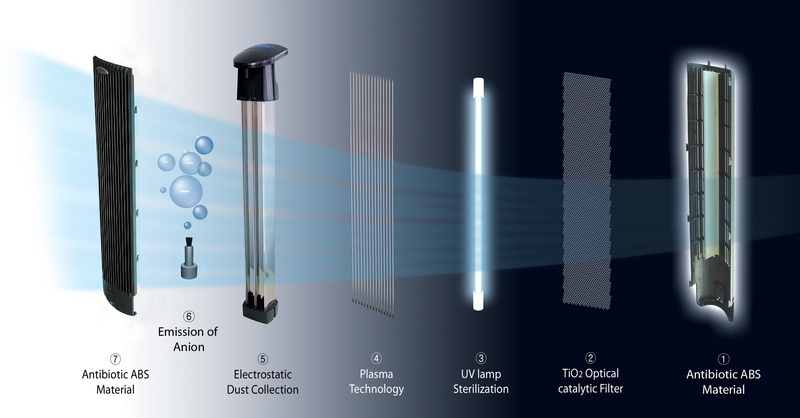 The effective application possibilities for the Clean Air Optima UV plasma ionizer air purifier CA-401: at home in the living room – kitchen – hobby room – sanctuary – bedroom, suitable for professional use in offices, companies, waiting rooms, private practices and treatment rooms of doctors/physiotherapists/dentists etc., public buildings, retirement homes and nursing homes, children’s day cares, schools, educational facilities, sport accommodations, fitness centers, bars, hotel and conference rooms, wellness rooms, sanctuaries for dogs, cats, birds etc. etc. • No replacement filters necessary = very low maintenance costs! • The tower design in dark grey with light grey grid is suitable for each interior. The electrostatic filter consists out of stainless steel dust collectors. Switch of the device and pull from the socket. Wait a few minutes. Afterwards pull the electrostatic filter from the top at the device. Clean the stainless steel dust collectors with a damp cloth, where a bit detergent is applied. Only push back the filter when it is dry! 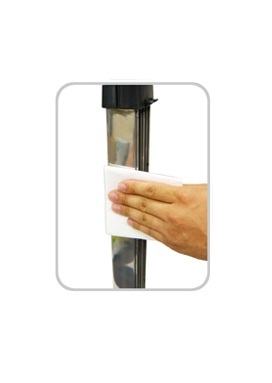 If used continuously (24/7) we advise to clean the electrostatic filter once a week. The Clean Air Optima UV plasma ionizer air purifier CA-401 has a cleaning mechanism for the scraping of the ionizer wires. This scraping takes place when the electrostatic filter is pulled out. Under normal conditions we advise to clean the ionizer wires once a week. Please pull out and push back the electrostatic filter 4 to 5 times after each other out of the device. Because of the simple cleaning mechanism no expensive replacement filters need to be purchase = very cost-efficient in maintenance! Ho aspettato un pò di tempo prima di fare questa recensione per testare efficacemente l'oggetto. Lo ionizzatore è molto valido risulta robusto e ben progetatto. Necessita di una accurata pulizia almeno una volta a settimana e con molta delicatezza. A mio parere, ho come l'impressione che questo purificatore abbia una oscillazione nella emissione degli ioni negativi durante la giornata; nonostante ciò fa bene il suo lavoro; perfetto quindi per abbattere polline, polvere,cattivi odori; etc. L'unico difetto è il segnale del telecomando che ha una limitato raggio di azione in termini di distanza,non superiore al metro. Questa limitazione è alquanto scomoda perchè se non si è molto vicini all'apparecchio il telecomando è praticament inutile; motivo per cui ho dato 4 stelle. Consiglio vivamente di migliorare i telecomandi. Infine posso dire che sono complessivamente soddisfatto. I bought UV Plasma Ionic Air Purifier CA-401 couple years ago. This ionizer became so popular at my house that I have just bought one more to prevent fights for having it in one's or another's room. Eventually i will get more for each room. 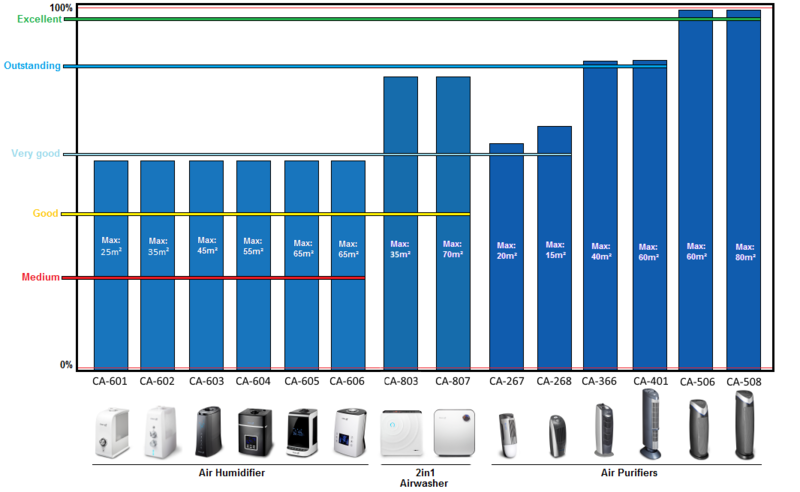 easy to clean, silent, the air quality improved dramatically. I will recommend this one to everybody. Excellent device. Dit is onze 2e Clean Air. Deze laatste heeft wat meer mogelijkheden en vernieuwingen. Hebben nu na een week al gemerkt dat er meer uit de lucht gehaald wordt. De sigarettenrook van mijn man komt niet meer mijn kant uit en er dwarrelen minder veertjes van onze losvliegende Valkparkiet in het rond. Wij zijn erg tevreden. Sehr gut! Ich bestelle mehr. Ich bin begeistert.